Article from The Oklahoman describing a budget shortfall for the Municipal Building in downtown Oklahoma City. 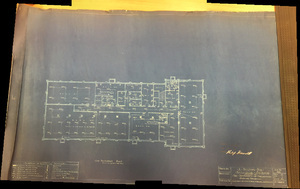 Blueprint for the Biology building, now Richards Hall, at the University of Oklahoma. The P (plumbing) series consists of 6. The P series was bound together with the H (heating) series. 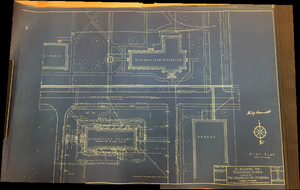 Blueprint for the Biology building, now Richards Hall, at the University of Oklahoma. The H (heating?) series consists of 7 sheets including an introductory sheet. The H series was bound together with the P (plumbing) series. 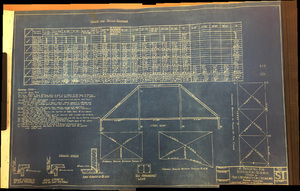 Blueprint for the Biology building, now Richards Hall, at the University of Oklahoma. The S (structural) series includes 9 sheets. The S series was bound together with the E (electrical) series. 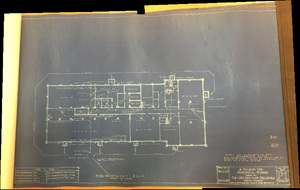 Blueprint for the Biology building, now Richards Hall, at the University of Oklahoma. The E (electrical) series includes 5 sheets. The E series was bound together with the S (structural) series. 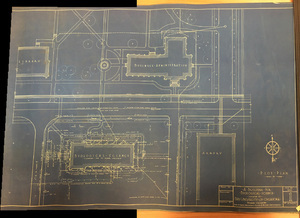 Blueprint for the Biology building, now Richards Hall, at the University of Oklahoma. 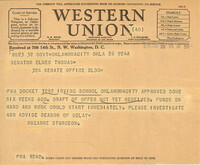 The series includes 20 pages. 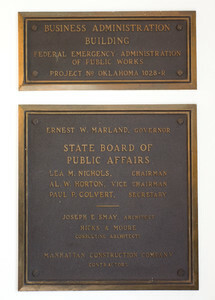 Adams Hall plaque featuring PWA dedication. 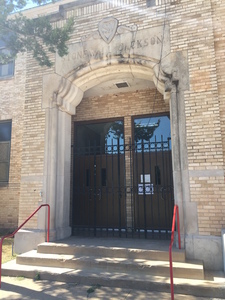 Entrance on either side of the front entrance that says Stonewall Jackson on it. There is one on each side of the front main entrance.